All our services are designed and built to meet our customer expectations and where possible exceed them. Juba Transport Limited operates a Quality Management System (QMS) and procedures that comply with ISO 9001:2008 so as to deliver consistently, efficiently and effectively our transportation services to our valued customers. 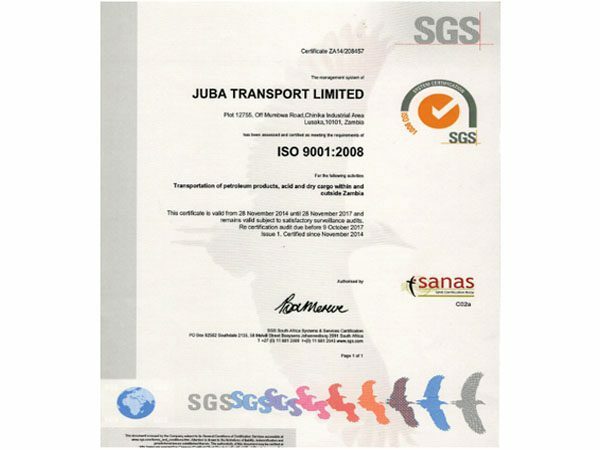 Juba Transport Limited is ISO 9001:2008 certified by SGS south Africa. To achieve this, we have deliberately and will continue to employ competent and committed Staff Who are well motivated and Where necessary train them to deliver the humanly possible service both to and our Clients. 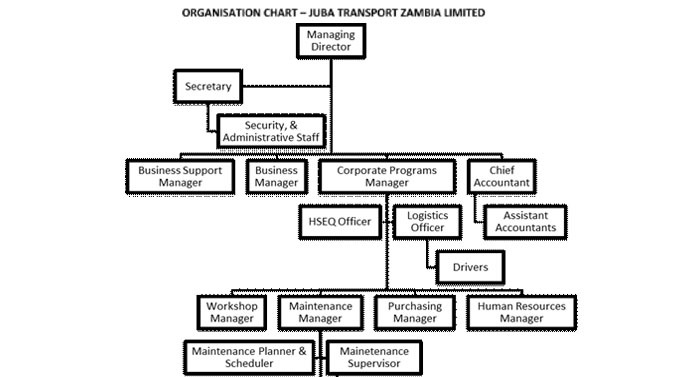 The QUALITY MANAGEMENT SYSTEM for the entire Juba Transport Limited functions at Lusaka. 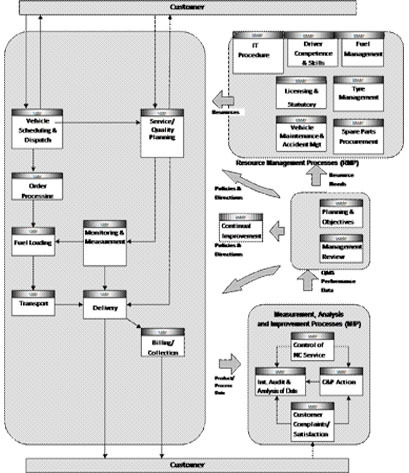 It demonstrates our capability to consistently provide services that meet customer and applicable regulatory requirements, and to operate with increased effectiveness and efficiency with the overall aim of enhancing customer satisfaction.The company’s quality management system documentation is written, implemented and maintained to meet the requirements of ISO 9001:2008. It describes or makes reference to our own processes and procedures/work instructions relating to our day-to-day operations. It covers the Transportation of petroleum products, acid and dry cargo within and outside Zambia.